Unlike traditional stretching, which attempts to isolate and stretch individual muscles, Fascial Stretch Therapy (FST) targets the connective tissue, known as fascia. Traditionally, fascia was thought to be the "bag" that held our bodies together, a covering that held the tissue in place. While this is true, current research shows that the role of fascia is much greater than that. Fascia literally surround every cell in our body, it holds our bodies together, but more importantly, it connects everything in our body together. Muscles, bones, organs, skin, nerves, joints, is all connected together by the fascia. Because its role has been so misunderstood, this "Cinderella" tissue of the body was thought to be rather insignificant and treatment of it was rather crude and brutal, with most treating it by mashing it, pounding it, or pulling on it with no mercy to "break it up". But what we now know is that fascia is the main sensory organ in our body. It is literally how we feel. Fascia houses sensors that transmits signals to our brain on what is going on with our bodies. These sensors are how we feel hot, cold, pressure, movement, and pain. Because of this significant discovery, effective treatment of the fascia is more complex than just mashing it or mercilessly pulling on it. For example, many people I treat, come in complaining about tight hamstrings. Although they "stretch" them, mash them with a roller or other object and maybe even see someone for treatment of it, nothing seems to releive it. In our joints, we have tissue refered to as the joint capsule. In addition to holding the joint together, the joint capsule sends information to the brain as to how the joint is able to move. Sitting, most exercise programs, as well as most sports, keep people in the flexed (fetal) position. This can "glue" the hip joint into place and not allow it to articulate correctly. Because it cannot move correctly, it tells the brain that something has to be done to protect it, so the brain in turn tells the hamstrings to contract to prevent the hip joint from moving into a position that it cannot control. No matter how much is done to the hamstring, it will not relax until the joint capsule is treated because its job is to protect the joint by staying contracted. This is where Fascial Stretch Therapy can help. 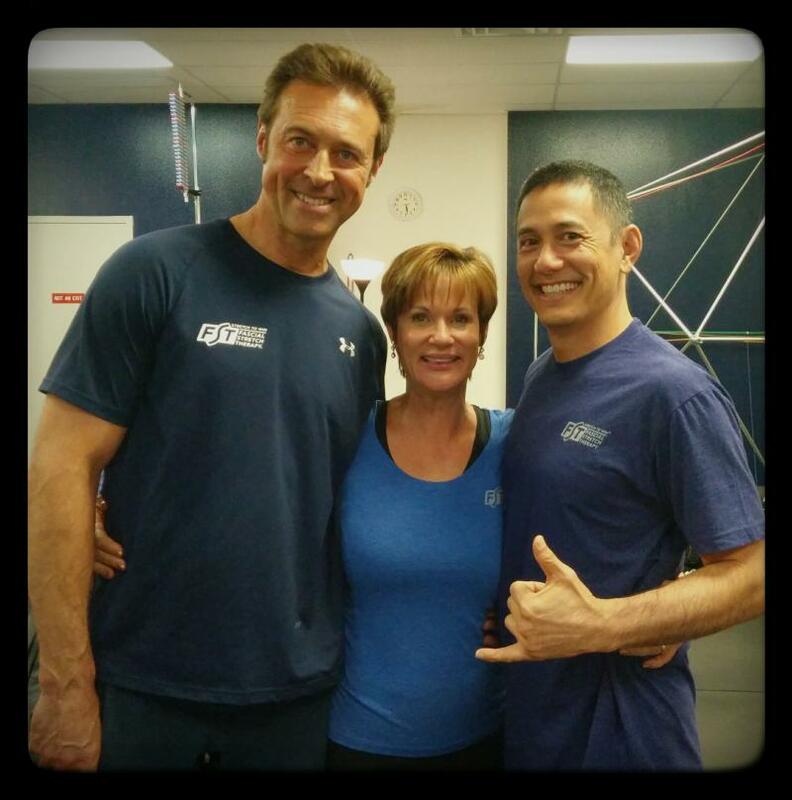 FST focuses on working on the body from the inside out. Techniques are used to help to free the deepest tissue first, which in turn allows the more superficial tissue, like the muscles, to relax because they no longer have to protect the improperly moving joints. One significant reason people fail to get effective, lasting results from their stretching, strengthening, or therapy sessions is because typical stretching, exercise and therapy focuses on treating isolated muscles. We now know that this is less effective because the body is more complex than just a bunch of "parts". It is a complex, highly intergrated system. Because it is so intergrated, we must understand that moving one part, moves everything. So understanding how the body moves in this way, as opposed to just focusing on isolated parts, is key to more effective releif from pain and injuries. Here is a short video, by Chris Frederick, Co-Founder of the Stretch to Win Institute, explaining what Fascial Stretch Therapy is through a very simple explanation.